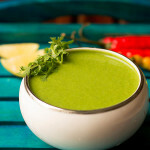 Kalkal recipe with step by step photos. 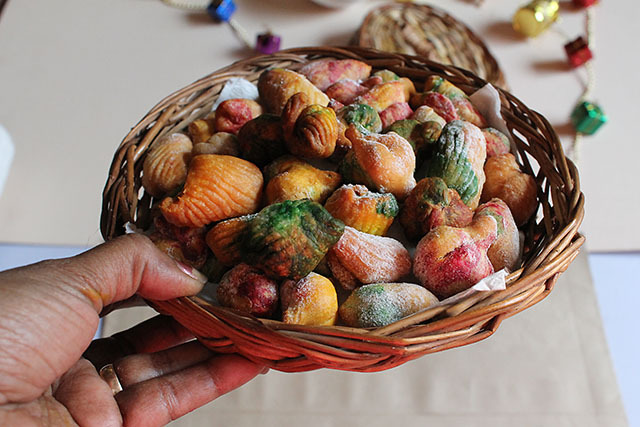 Kalkal is a traditional Goan delicacy made during Christmas as goodies! What is Kalkal? it’s a fried pastry made with flour, eggs and coconut milk / milk which is rolled in powdered sugar. 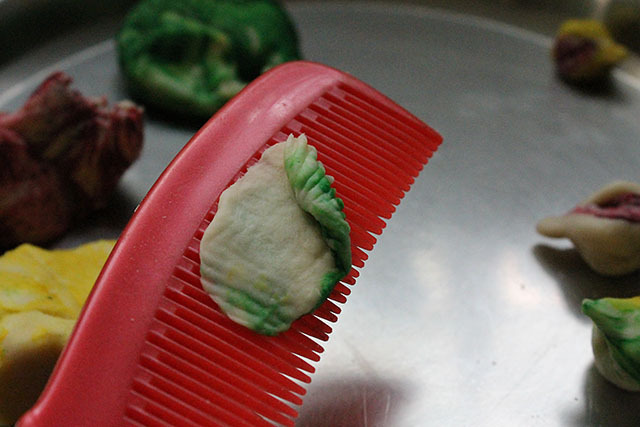 The dough is shaped into small balls flattened and curled over a clean comb, could be shaped into small flowers. Also it’s made colorful I have used colors although not fond of colors. However Christmas is colorful so made the sweets too colorful. There are various version of kalkal made back home. This is my mom’s version and I love this sweet stuff since my childhood. 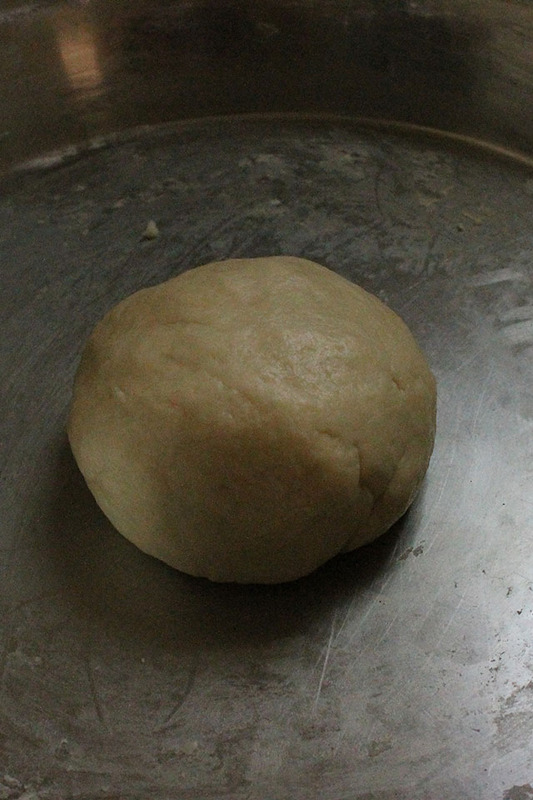 I remember mom used to make the dough and then we all used used to be so excited to give shapes to kalkal. The best part was eating them as soon as they were fried. My mouth is watering just describing and writing about it. We used to give kalkal as goodies to our family and friends. 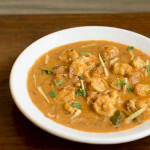 Kalkals are made with coconut milk traditionally. However I have used cows milk you could use any milk but the flavor would be different from both the milk. Also mostly it’s made on a comb now you could buy a new comb preferably. I have used a new comb for my kalkals Or you could curl them on a fork. I love fine lines hence used comb. Alternatively you would shape them into small flowers. I have shaped them into all possible shapes giving them some color. So use your imagination for this recipe it’s fun. Involve kids, friends and neighbors for shaping the kalkals. It would be a fun activity for them plus your work would be easier and faster 😉 Some people also add semolina for the extra crunch. 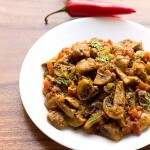 However my recipe for kalkal is very simple and this is the exact way my mom makes them. Also have used egg whites as yolks will make them soft and this sweet should be firm from out and fluffy within. This sweet is crunchy from out and soft from within. It just kind of melts in your mouth. I feel like grabbing a bite right now but it’s too late as I have already brushed my teeth (: (: ….. However will lay my hands on them tomorrow surely. 1. Sift the flour and salt. 2. Make a small well into the sifted flour and add warm dalda / butter. Rub the flour with the fat. It should appear like breadcrumbs. 3. Add the beaten egg whites, milk an essence. Knead into a smooth and from dough. The dough shouldn’t be too soft nor too hard. Cover the dough with a damp cloth for 20 mins. Now add desired color I used red, green and yellow color. You could skip color and make them plain. 4. Make marble sized balls or as size required. Place them over a clean fork or comb. Flatten the balls gently with your finger over the comb or fork as thin as you can but without causing any breakage or damage to the dough. In case the balls get torn its okay shape into balls and flatten again. 5. Now roll from one edge to another edge forming a curl and sealing the ends properly. 6. You could also shape them into flowers. 7. Place a deep frying vessel over high heat. Once oil is hot reduce the heat. 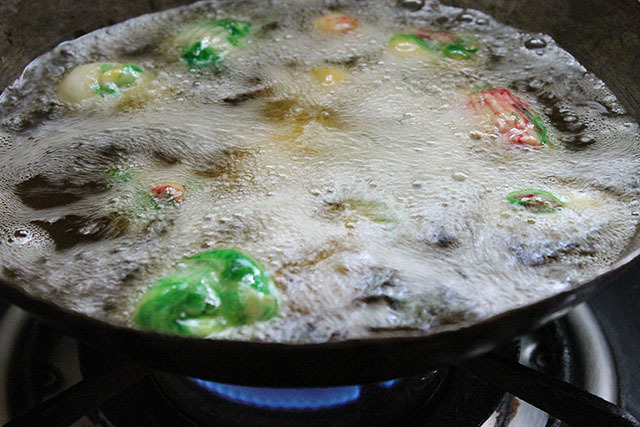 Fry few kalkals at a time don’t cluster with too many on medium heat. You would see them rising in width. Once they are golden brown in color. Remove them and place on absorbent napkins. Eat one and see if they are crisp from outside and soft within that means they are fried appropriately. 8. Fry the rest of kalkals. Allow them to cool down. Spread powdered sugar in a large storage container and place these kalkals gently. Now shake the container gently. The kalkals will get the sweet taste once mixed with powdered sugar. 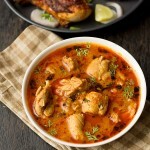 Kalkal recipe - an ancient Goan delicacy made during Christmas as goodies! 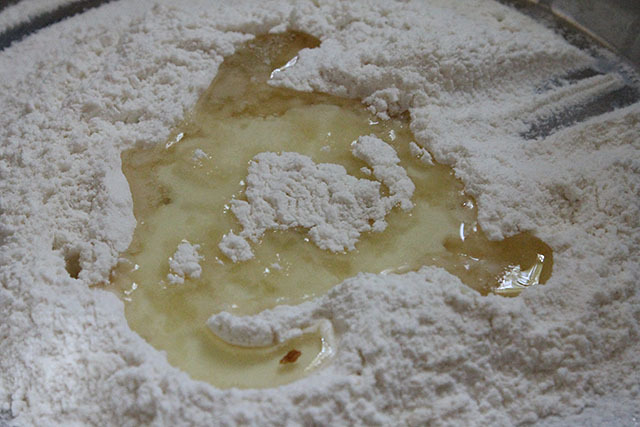 Make a small well into the sifted flour and add warm dalda/butter. Rub the flour with the fat. It should appear like breadcrumbs. Add the beaten egg whites, milk an essence. Knead into a smooth and from dough. The dough shouldn't be too soft nor too hard. Cover the dough with a damp cloth for 20 mins. Now add desired color I used red, green and yellow color. You could skip color and make them plain. Make marble sized balls Or as size required. Place them over a clean fork Or comb. Flatten the balls gently with your finger over the comb Or fork as thin as you can but without causing any breakage Or damage to the dough. In case the balls get torn its okay shape into balls and flatten again. Now roll from one edge to another edge forming a curl and sealing the ends properly. You could also shape them into flowers. Place a deep frying vessel over high heat. Once oil is hot reduce the heat. Fry few at a time don't cluster with too many on medium heat. You would see them rising in width. Once they are golden brown in color. Remove them and place on absorbent napkins. Eat one and see if they are crisp from outside and soft within that means they are fried appropriately. Fry the rest of kalkals. Allow them to cool down. 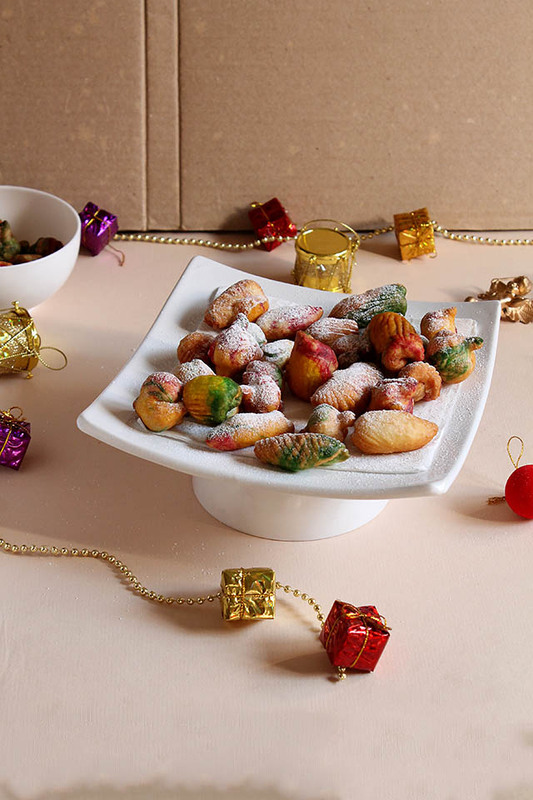 Spread powdered sugar in a large storage container and place these kalkals gently. Now shake the container gently. The kalkals will get the sweet taste once mixed with powdered sugar. 1. 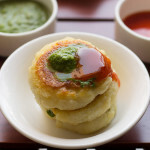 Fry them on medium Or low heat else they might burn and not cook evenly. 2. The dough needs to be firm and not soft. 3. Give any color Or shape you desire. Just ensure it' sealed properly else they w ill open up whist frying. 4. Fry few at a given point of time. 5. Instead of coating them with sugar later you could powdered sugar in the dough itself. How do you make the conch shapes? Is there directions for it that I can refer to. Asha just make small marble sized balls press them or flatten with your hand. Take fold them and pinch towards the center then drag both corners towards the outer end and seal the ends. 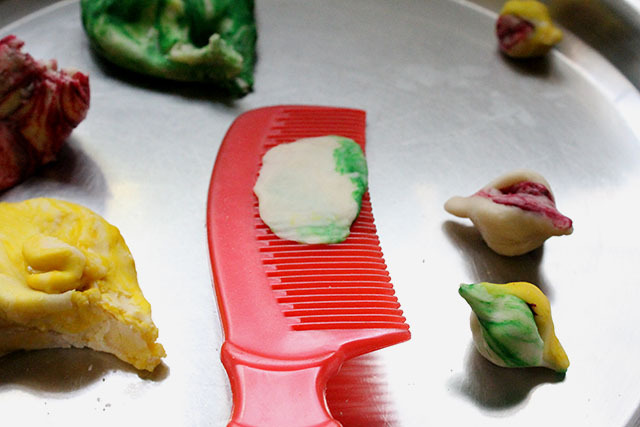 Else you can also use chocolate molds or comb for making shapes. Marie yes you can use wheat flour as well but the outcome will be a little dense as compared to maiada (refined flour). 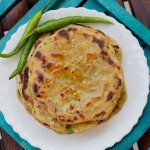 You can also try using 1:1 proportion of maida and wheat flour. Let us know once you try, thanks. I came across this recipe and it brought back my child hood memories. 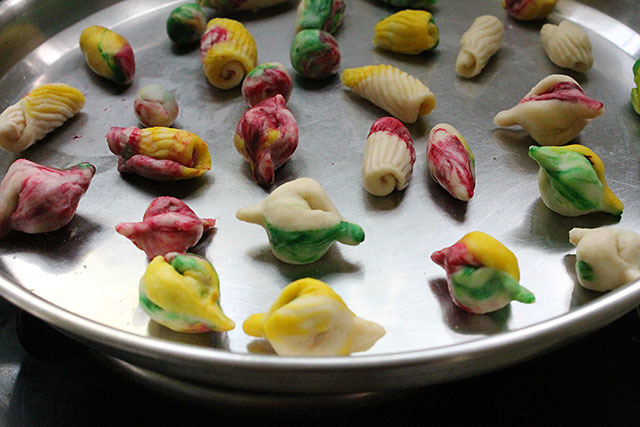 My neighbors would make lot of sweets and I used to look forward to eat these every CHristmas. I have a question about the SHankh shape you have shown in the step 4 picture. How do you make it? Can you please let me know or send me picture? I will really appreciate it! Ketaki thanks for your positive views 🙂 can understand kids growing up away from Mumbai. Allow me some time I will post the details how to make the shankh shape soon in my post. Let me know whenevr you try kalkals, take care. Joel color always add towards the end also you could edible colors which are available at super markets. You could also skip color as it’s optional. Hope this help’s you. How many cups is 250 gms flour? Also how much butter in cups? same question for powdered sugar? How many kulkuls does this make? 250 gm flour would be 2 cup of flour, butter would be 1/3rd cup of dalda or butter and powdered sugar would be app 2 cups pf flour. Hope this help’s you secondly quantity would depend on the shape and the size of kalkals. 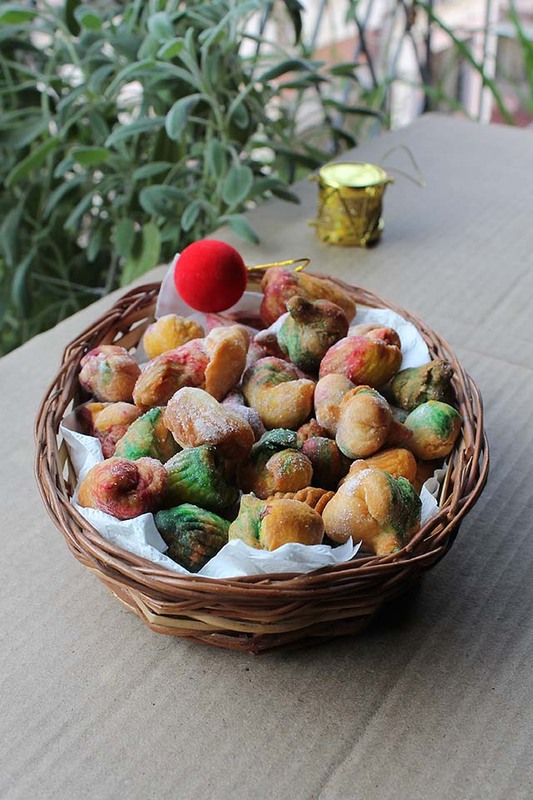 would you know anyone selling xmas sweets in hyderabad? Avina I am sorry don’t know anyone selling sweets at Hyderabad. 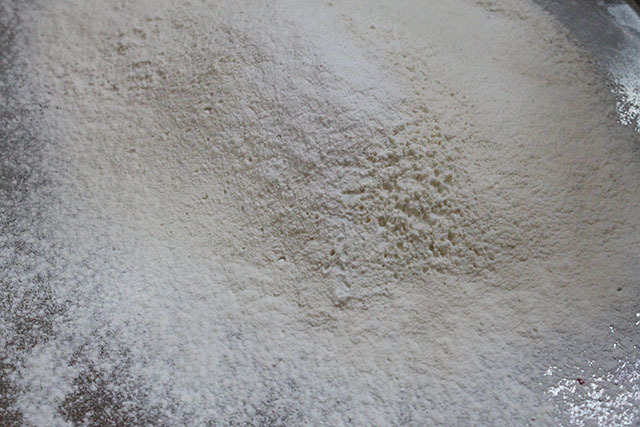 Fatima use 75 gms dalda for 250 gms flour and 150 gms dalda for 500 gms of flour. Hope this helps you. i’d like to try them. they are so cute and colorful!